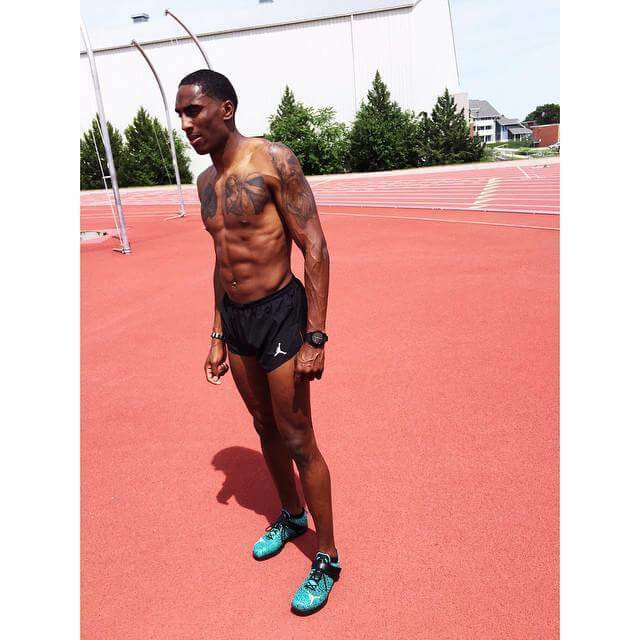 Team Jordan Brand and Team USA High Jump Erik Kynard. Have a good year going into the Olympics, but struggle in Rio. Video Link at bottom of Erik Kynard and David Oliver repping Team USA Underwear on a morning show.